Let’s be honest: one of the greatest strains of placing your child into a nursery is meeting the cost. Most working parents don’t have the option of staying at home to look after their young children, and even those that could often still prefer placing their child into a nursery to give them the best possible head start. One problem with this is the price, and this is usually the biggest issue for parents to consider. Does the nursery offer value for money? Can you find a price plan that matches your finances? Every parent wants the best possible nursery care for their child, and this means finding the best value for money. Children can enter nursery school from an age as young as even 6 weeks old, going right through to 5 years old. Essentially, this means a parent has to make a commitment of 4-5 years, which can be rather daunting when weighing up the costs. So, the first thing worth considering is whether your child will receive an exceptional experience that matches good quality. Are the facilities and staff worth investing in? Does the nursery offer good value for the price you will pay? If you are going to send your child to a nursery for any time up to five years, then you’ll be in for the long haul, and must consider carefully how you’ll pay for it. Any decent nursery will offer a clear and structured payment plan, based on the age and length of time your child will stay with them. For example, if you prefer your child to attend the nursery on a full-time basis (Monday – Friday, between the hours of 7.30am – 6pm), then you will save money on other rates. The nursery will offer a daily rate, and an AM or PM rate. The daily rate is cheaper than the combined AM and PM rate, and enrolling your child full-time will offer a further discount. 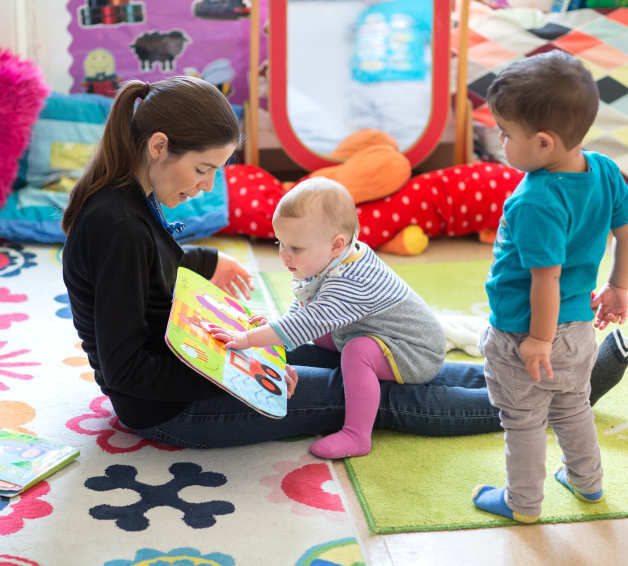 The government has recently introduced a scheme for nurseries to provide 15 hours of childcare free each week. Unfortunately, this scheme is not yet eligible for children under the age of 2, but between the ages of 2 and 5 your child is eligible to receive 15 hours of free childcare. This means that each weekly fee is reduced by 30%, which is a bonus for parents who are looking for affordable child care in Nottingham, or other cities in the Midlands region. Furthermore, Tax Credits are available meaning you could also be entitled to up to 70% of your nursery fees. Check eligibility with the Inland Revenue. So remember, higher fees don’t always automatically mean your child will receive better care, and you should be seeking value for money. Many nurseries will offer a discount for children enrolled full time, so this may be a better option than paying for daily use. Finally, many nurseries can provide up to 15 hours free care for your child each week, and tax credits are available to pay for up to 70% of child care. Following these steps, you can keep your child care fees as low as possible.